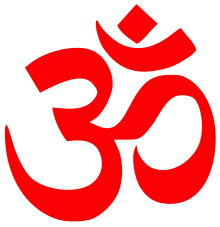 The Bhāgavata Purāṇa (Devanagari: भागवतपुराण; also Śrīmad Bhāgavata Mahā Purāṇa, Śrīmad Bhāgavatam or Bhāgavata) is one of Hinduism's eighteen great Puranas (Mahapuranas, great histories). Composed in Sanskrit and available in almost all Indian languages, it promotes bhakti (devotion) to Krishna as the incarnation of Vishnu, integrating themes from the Advaita (monism) philosophy of Adi Shankara. The Bhagavata Purana, like other puranas, discusses a wide range of topics including cosmology, genealogy, geography, mythology, legend, music, dance, yoga and culture. As it begins, the forces of evil have won a war between the benevolent devas (deities) and evil asuras (demons) and now rule the universe. Truth re-emerges as Krishna, (called "Hari" and "Vasudeva" in the text) – first makes peace with the demons, understands them and then creatively defeats them, bringing back hope, justice, freedom and good – a cyclic theme that appears in many legends. The date of composition is probably between the eighth and the tenth century CE, but may be as early as the 6th century CE. Manuscripts survive in numerous inconsistent versions revised through the 18th century creating various recensions both in the same languages and across different Indian languages. The text consists of twelve books (skandhas) totalling 332 chapters (adhyayas) and between 16,000 and 18,000 verses depending on the recension. The tenth book, with about 4,000 verses, has been the most popular and widely studied. It was the first Purana to be translated into a European language as a French translation of a Tamil version appeared in 1788 and introduced many Europeans to Hinduism and 18th-century Hindu culture during the colonial era. "Purana" means "ancient, old". Bhagavata means "devoted to, follower of Bhagavat – the "sacred, divine (God, Lord)". An alternative interpretation of Bhagavata is "devotees of the Adorable One". Bhagavata Purana therefore means "Ancient Tales of Followers of the Lord". The Bhagavata Purana, in verse 2.9.32, asserts its primordial origins. The text and the Hindu tradition also hagiographically credits the authorship of all 18 Maha Puranas to Veda Vyasa, who is revered for authoring the Mahabharata as well, and other ancient classics of India. Modern scholarship dates its composition to between 500 CE to 1000 CE, but most likely between 800 and 1000 CE. A version of the text existed no later than 1030 CE, when it is mentioned by al Biruni and quoted by Abhinavagupta. The Bhagavata Purana abounds in references to verses of the Vedas, the primary Upanishads, the Brahma Sutra of Vedanta school of Hindu philosophy, and the Bhagavad Gita, suggesting that it was composed after these texts. The text contains more details of Krishna's biography that the 3rd- 4th-century Harivamsha and Vishnu Purana, and is therefore likely to have been composed after these texts, suggesting a chronological range of 500–1000 CE. Within this range, scholars such as R. C. Hazra date it to the first half of the 6th century CE, Bryant as well as Gupta and Valpey citing epigraphical and archaeological evidence suggest much of the text could be from the 4th to 7th century, while most others place it in the post-Alvar period around the 9th century. Parts of the text use an archaic Vedic flavour of Sanskrit, which may either suggest that its authors sought to preserve or express reverence for the Vedic tradition, or that some text has an earlier origin. There are two flavors of Krishna stories, one of warrior prince and another of romantic lover, the former composed in more archaic Sanskrit and the later in a different linguistic style, suggesting that the texts may not have been composed by one author or over a short period, but rather grew over time as a compilation of accretions from different hands. The Bhagavata Purana contains apparent references to the South Indian Alvar saints and it makes a post factum prophecy of the spread of Vishnu worship in Tamil country (BP XI.5.38–40); these facts, along with its emphasis on "emotional Bhakti to Krishna" and the "Advaita philosophy of Sankara", lead many scholars to trace its origins to South India. However, J. A. B. van Buitenen points out that 10th–11th CE South Indian Vaishnava theologians Yamuna and Ramanuja do not refer to Bhagavata Purana in their writings, and this anomaly needs to be explained before the geographical origins and dating are regarded as definitive. Since the 19th-century, most scholars believe that the Bhagavata Purana was written by a group of learned Brahmin ascetics, probably in South India, who were well verse in Vedic and ancient Indian literature and influenced by the Alvars. Postmodern scholars have suggested alternate theories. Modern scholarship on Puranas manuscripts, including those of Bhagavata Purana, has been challenging because each Purana exists in numerous versions which are highly inconsistent. Most editions of Puranas, in use particularly by Western scholars, are "based on one manuscript or on a few manuscripts selected at random", even though divergent manuscripts with the same title exist. 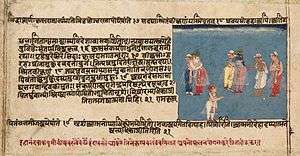 Scholars have long acknowledged the existence of Purana manuscripts that "seem to differ much from printed edition", and it is unclear which one is accurate, and whether conclusions drawn from the randomly or cherrypicked printed version were universal over geography or time. This problem is most severe with Purana manuscripts of the same title, including the Bhagavata Purana, that are in regional languages such as Tamil, Telugu, Bengali and others which have largely been ignored. The Bhagavata is primarily a bhakti text, with an emphasis on achieving moksha through cultivating a personal relationship with Vishnu in the form of Krishna. The philosophy and teachings of the Bhagavata include several traditions, and an absence of a "narrow, sectarian spirit". While Bhakti Yoga is the prominent teaching, various passages show a synthesis that also includes Samkhya, Yoga, Vedanta, and Advaita Vedanta. 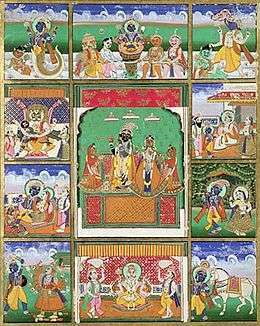 The Purana presents seven teachers and their hagiographic stories, describing for example Kapila, the Samkhya philosopher, as someone who was born as a full grown adult, who teaches his mother that in order to reach liberation, she must have bhakti, jnana (wisdom), and vairagya (dispassion), with bhakti being the most important. 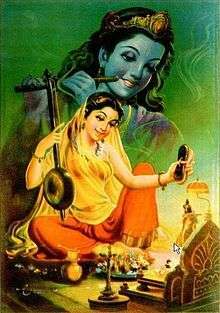 Other teachers such as Narada and Suka described in the Purana, however, present Bhakti with less prominence, and emphasize Advaita philosophy and Jnana yoga instead but then add that adoring Hari (Krishna) has the same liberating benefits. The Bhagavata frequently discusses the merging of the individual soul with the Absolute Brahman, or "the return of Brahman into His own true nature", a distinctly advaitic or non-dualistic philosophy of Shankara. The concept of moksha is explained as Ekatva (Oneness) and Sayujya (Absorption, intimate union), wherein one is completely lost in Brahman (Self, Supreme Being, one's true nature). This, states Rukmini, is proclamation of "return of the individual soul to the Absolute and its merging into the Absolute", which is unmistakably advaitic in its trend. In the same passages, the Bhagavata includes a mention of Bhagavan as the object of concentration, thereby preserving its character of being a Bhakti book. The text, in Book 7, describes the legend of a bhagavata (devotee) named Prahlada. 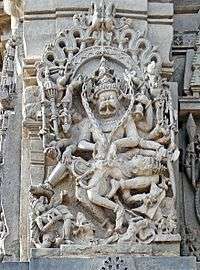 He is described as a boy full of virtues, but who is born to a demon king who is persecuting people for their independent and different religious beliefs in favor of Vishnu. Prahlada disagrees with his father, resists him, and pursues what he feels is right. In this legend, and many others, the text challenges presumption and stereotypes about a person based on birth and heredity, as well as encourages the readers through the character of Prahlada to resist threats, harassment and indoctrination from anyone. The Purana, state Gupta and Valpey, implies that virtues and vices are an individual's attribute and a person must be seen for who he is, rather than assumed to be following his parents because of hereditary circumstances. The legends of Bhagavata Purana discuss and describe Dharma through examples. The text does not subscribe, state Gupta and Valpey, to contextless "categorical notions of justice or morality", but suggests that "Dharma depends on context". The text considers the reality of the world to be one which is divided, continuously challenged by the struggle between the good and the evil, threatened by some despite better intentions of others. In Chapter 15 of Book 7, the Bhagavata identifies different forms of these destructive, negative and chaotic contexts, naming Upa-dharma (heretical polemics, misrepresentation), Vi-dharma (obstruction, disruption), Abhasa-dharma (semblance, pretension), Chala-dharma (deceit) as examples of Adharma. In a positive or neutral context, states the Bhagavata, ethics and moral behavior must be adhered to; when persistently persecuted by evil, anything that reduces the strength of the "evil and poisonous circumstances" is good. That which is motivated by Bhakti, that which furthers Bhakti, that which enables Bhakti is Dharma in the text – Bhakti is the golden standard of Dharma. The Bhagavata Purana describes all steps of the Yoga practice, characterizes Yoga as Bhakti, states Sharma, with the most important aspect of the Yoga asserted to be the spiritual goal. The text dedicates numerous chapters to it, in various books. The 10th chapter of Book 11 begins with a declaration that Siddhi results from concentrating one's mind on Bhagavan Krishna, which thus resonates but substitutes the concept of "personal god" in Yogasutras of Patanjali, yet also contrasts with Patanjali's view where Siddhi is considered powerful but an obstacle to Samadhi and towards the goal of Self-knowledge, inner peace and moksha. The Purana includes an introduction in Book 1 that describes its own creation. 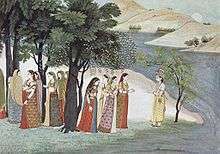 The Bhagavata describes itself as a recounting of events by the storyteller Ugrasrava Sauti (Sūta) to Shaunaka and other sages assembled in the Naimisha Forest. Sūta asserts, in this preface that Veda Vyasa was feeling unsatisfied, even after he had distilled the knowledge of the Vedas into the Epic Mahabharata. The sage Narada advises Vyasa that his unease was because he had not yet described the highest goal of knowledge. Vyasa thereafter writes the twelve books for the text, and teaches it to his teenage son Shuka. The text describes Shuka to be a precocious Advaita Vedantin who, rather than becoming a Krishna devotee, entered sannyasa and renounced the world as a child. story of Manu's sons and their children leads eventually to Bharat and a description of the world, the sun and its course, the moon and the planets, the regions below the earth, and the twenty-eight hells (naraka). The Book describes how after a long period of peace and prosperity, carelessness and excesses within the society make people forget self responsibility, and the need to follow or protect dharma. Infighting between good people begins, ultimately leading to the destruction of the Yadava dynasty. The end comes through a senseless but brutal internecine war, described as a drunken fight, which kills all the Yadavas along with Krishna's human form. The last chapter describes Krishna's ascent to Vaikuntha. Book eleven also includes the so-called Uddhava Gita, the last discourse of Krishna which he addresses to Uddhava. Canto or Book 11 section 7-9 discusses the pastimes and realizations of an Avadhuta. Other commentaries are: Hanumad-Bhasya, Vasana-bhasya, Sambandhoki, Vidvat-kamadhenu, Tattva-dipika, Paramahamsa-priya, Suka-hridaya. 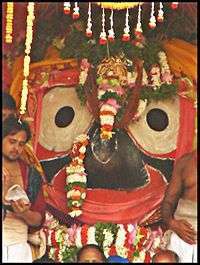 Vopadeva wrote the Mukta-phala and the Hari-lilamrita. 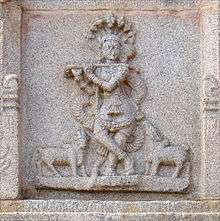 Vijayadhvaja composed the Pada-ratnavali. Viraraghava also edited The Bhāgavata-Candrika (from Ramanuja's school). Other works are the Subodhini by Vallabha and Bhakti-ratnavali by Visnupuri. Among the Gaudiya Vaishnava commentaries there are Jiva Goswami's Tattva-sandarbha (16th century CE), the Sarartha Darsini by Vishvanatha Chakravarti (17th century), the Dipikadipani by Radharamana, Bhaktisiddhanta Saraswati's Gaudiya-bhasya (20th century). The Tattva Sandarbha commentary of the 16th-century Vaishnava scholar Jiva Goswami analyzes the text, with the remark that the Bhagavata is written in a popular story style, which is easy to read and simpler to understand, than other important ancient Indian philosophical literature. The text is a Cakravartin (sovereign) of all Puranas, states Goswami, not only because of its poetic excellence, simple language and direct style, but also because it "contains the essential meaning of all the Vedas, Itihasas and other Puranas, because it rests on the Brahma Sutras, and because it is complete". 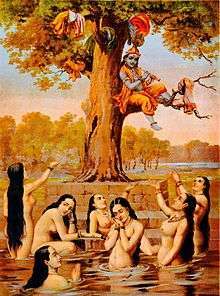 Book 10 of the Bhagavata Purana has legends about romantic Krishna who is musically gifted (often shown as playing a flute), and teasing girls such as above by hiding their clothes while they were bathing. 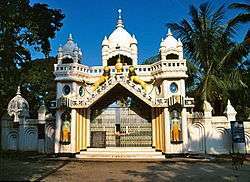 The transcreated work, known as the Bhagavata of Sankaradeva, is the primary theological source for Mahapurushiya Dharma in the Indian state of Assam. Sankaradeva (1449-1568 CE) drew inspiration chiefly from the Bhagavata and he himself undertook the task of rendering of the major portion, namely Books I, II, III, VI, VII, VIII, IX, X, XI and XII. Besides the rendering, he composed a large number of works with materials from the Bhagavata such as the Kirttana Ghosha which is an anthology (kavya-kosh) of more than two dozen epics of various magnitudes. Most of the poems of the Kirttana are renderings or adaptations from the Bhagavata Purana. His Nimi Nava Siddha Samvada is a doctrinal treatise based on Book XI of the Bhagavata. His Anadi Patana is mainly an adaptation from Book III of the Bhagavata. The Gunamala, the 'Garland of Praises (for Lord Krishna)' written by Sankaradeva is a little handbook capturing in racy, rhyming and sonorous verses, the essence of the Bhagavata Purana. Within the compass of a single laudatory verse, the poet recounts many incidents from Krishna's life making them easy to remember. This 'pocket-Bhagavata' is a sacred text for all Assamese Vaisnavas and is often placed in the pedestal or the Guru-Asana (sacred throne) in the congregational prayer-house called Namghar as the object of veneration. The 16th-century Saint Eknath of Paithan- Maharashtra wrote a scholarly commentary on the 11th Canto of the Shrimad Bhagavatam named "Ekanathi Bhagavata" in Marathi, the vernacular language of the Indian state of Maharashtra. ↑ Robert Van Voorst (2007). Anthology of World Scriptures. p. 28. ISBN 1111810745. ↑ Chatterji, Suniti Kumar. "The Eka-sarana Dharma of Sankaradeva: The Greatest Expression of Assamese Spiritual Outlook" (PDF). Retrieved 29 October 2012. ↑ SN Sarma (1966), The Neo-Vaisnavite Movement and the Satra Institution of Assam, Gauhati University, ISBN 978-8173310263, page 27, Quote: "the Chapters of the Bhagavata Purana, where the Pancharatra theology is discussed, have been omitted by Assamese translators"
↑ TS Rukmani (1993), Researches in Indian and Buddhist Philosophy (Editor: RK Sharma), Motilal Barnarsidass, ISBN 978-8120809949, pages 217-224, Quote (page 218): "The Bhagavata emphasizes yoga as bhakti and it is in the method of realization of its spiritual goal that yoga becomes important". ↑ Karen Pechilis Prentiss (2014), The Embodiment of Bhakti, Oxford University Press, ISBN 978-0195351903, page 17, Quote: "Scholarly consensus today tends to view bhakti as a post-Vedic development that took place primarily in the watershed years of the epics and Puranas." ↑ Beck 1993, pp. 107-108. ↑ "Archived copy" (PDF). Archived from the original (PDF) on 17 September 2012. Retrieved 2012-12-17. ↑ "The Bhagavata of Sankaradeva; Assamese rendering of the Bhagavata Purana". atributetosankaradeva. 2008-10-02. Retrieved 2012-12-26. ↑ "The Holy Kirttana". atributetosankaradeva. 2012-03-29. Retrieved 2012-12-26. ↑ "Gunamala" (PDF). atributetosankaradeva. 2008-04-16. Retrieved 2012-12-26. Beach, Milo Cleveland (1965). 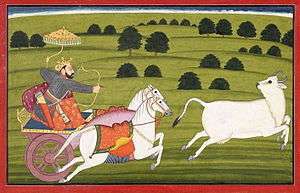 "A Bhāgavata Purāṇa from the Punjab Hills and related paintings". Bulletin of the Museum of Fine Arts. Museum of Fine Arts, Boston. 63 (333): 168–177. JSTOR 4171436. Datta, Amaresh (2006). The Encyclopaedia Of Indian Literature. vol. 1. 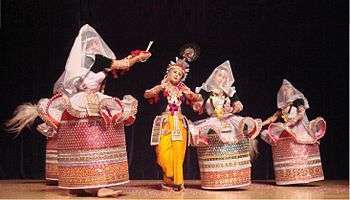 Sahitya Akademi. ISBN 81-260-1803-8. Rocher, Ludo (1986). The Puranas. Wiesbaden : Harrassowitz. pp. 138–151. ISBN 3-447-02522-0.